ThereÕs no job too small for this little spoon spatula! Great for scooping jelly, peanut butter, baby food and more. 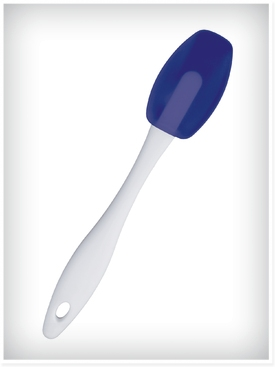 The Progressive International Mini Spoon spatula allows you to get that last little bit out of any small or narrow jar, bottle or can. 7Ó (17.7 cm) in length. Non-stick silicone spatula heads are heat resistant up to 500¡F (260¡C).